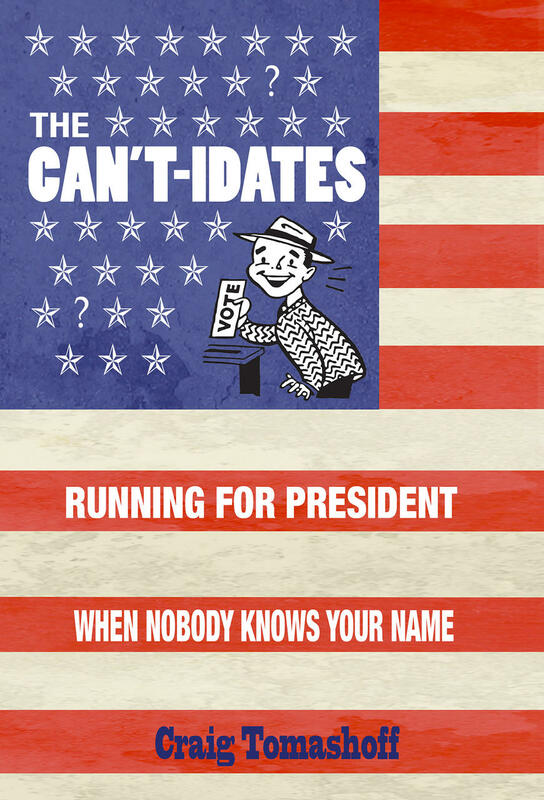 In 2012, nearly 500 people filed election papers to run for President of the United States. A full year before the 2016 presidential elections, nearly 1300 people had already thrown their hats in the ring. Who are these people? What makes somebody run for president when their chances of winning are slim and never gonna happen? CRAIG TOMASHOFF drove 10,000 miles over 21 days to visit with a number of the colorful long shots hoping to answer those questions—and to prove to his only son who's just gone off to college that the American Dream is still alive. As long as you're willing to follow your bliss, take a chance and endure the scorn the comes with being a modern day can't-idate.